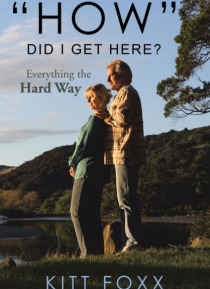 IHG® Rewards Club - eBook - &quote;How&quote; Did I Get Here? &quote;How&quote; Did I Get Here? Sometimes things are just so bad that there is no solution if you are honest. This is a perfect example of two honest people that just couldnt make it. So after a large loan from a large local bank in Dallas, Texas, and after a change in latitude, things got progressively better, and success finally smiled on them. They were thankful. They helped many people along their way to becoming successful.… Sometimes its just not easy to head in the right direction without some help financially to give you that boost that you need so badly in life that raises your attitude to a much higher level that leaves you with only one thing to worry about instead of so many that life forces on us sometimes. Some of it seems to be so unbearable at times that you cant even see any light at the end of that tunnel. But you wait and you hope. And occasionally, that light appears. The moment is at hand.